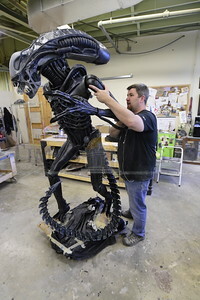 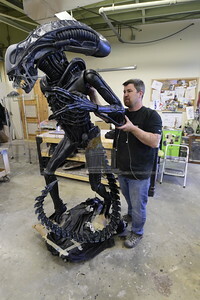 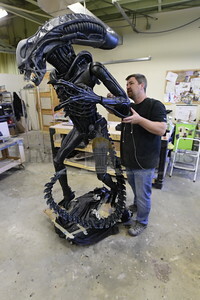 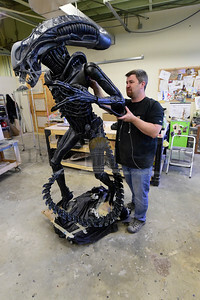 Jeb Wallace-Brodeur / Staff Photo Artisit Mike Turner attaches an arm Wednesday to a huge sculpture of the movie creature Alien at his Barre studio. 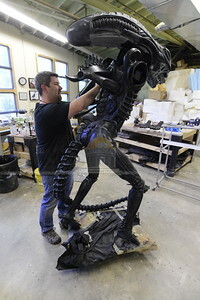 Turner has been working on the intricately detailed fiberglass and resin piece for more than a year. It will be displayed at Comicon in New York City later this year.